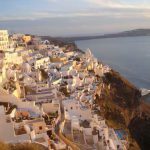 Firostefani Santorini lies to the north of Fira and there is little that separates it from it considerable larger neighbour. 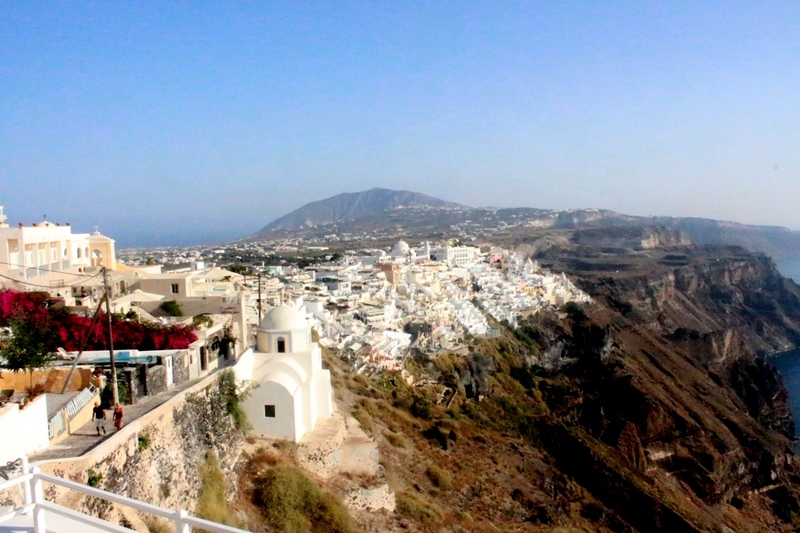 As with Fira the views from this part of Santorini are spectacular but the town are higher up so offer a different perspective of the volcano. 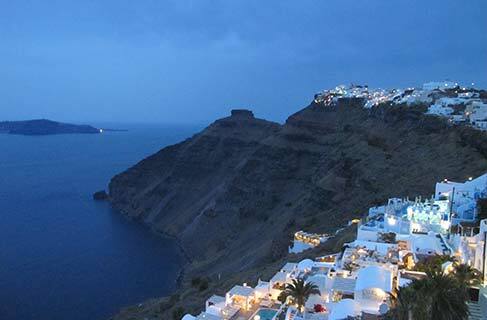 And of course one can enjoy the magnificent sight of Fira itself. It is a superb place to enjoy the sunset in the evening. The village has restaurants from which one can also observe the sunset in its full glory. The village has plenty of restaurants and cafes located on the most fabulous locations. Between the village of Firostefani and Imerovigli lies the Agios Nikolas Monastery. 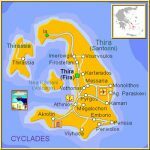 The largeish building with its typically Cycladic rounded edges is open 8-12.30 and 16:00-19:00. Depending where you are inside you can look to the east side of the island or to the volcano and beyond. 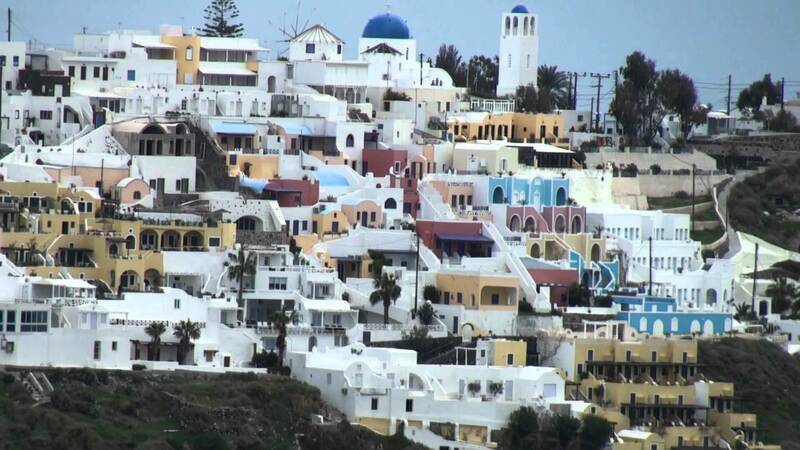 As with Fira, Firostefani contain a number of hotels. 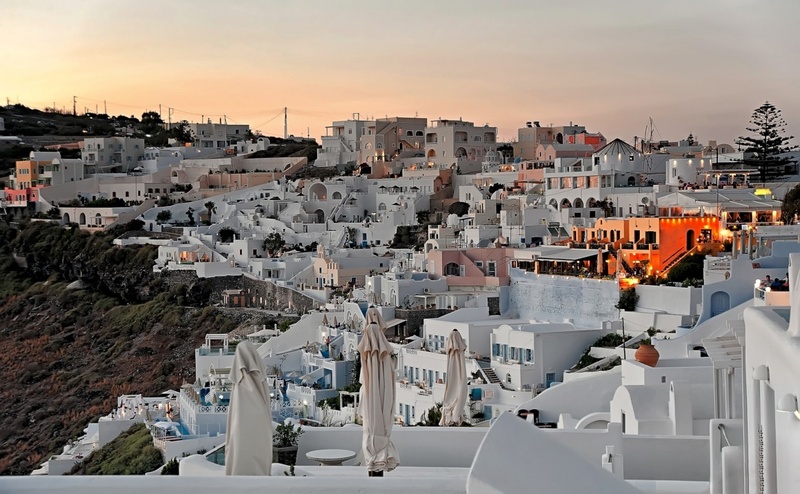 Both are picturesque and have a nice blend of cream and white variations in the colouring of the houses. Away from the cliff side view Firostefani has a less stunning part as well. There are a few shops.